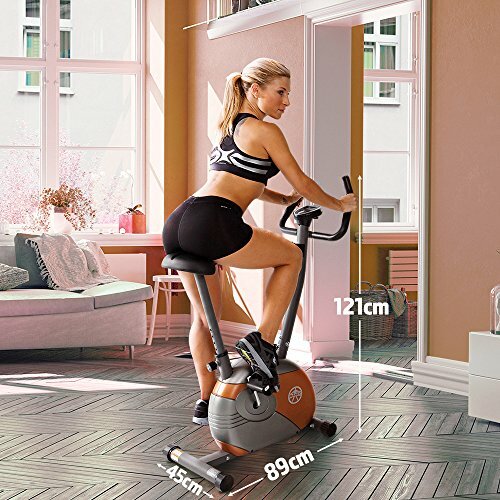 This bike is equipped with wheels for maximum mobility letting you easily transport it anywhere in the gym or your home and can be stored conveniently in a designated area. 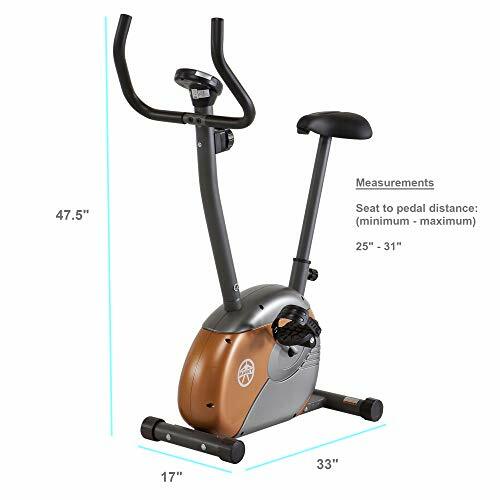 This upright exercise bike measures 31.5 x 48.75 x 18 inches. Invest in this premium gym equipment now, and experience safe and convenient cardio training without having to leave your house!PREMIUM STEEL CONSTRUCTION – This stationary upright bike features a premium frame of 14-gauge steel tubing, finished with powder coating that combines design and performance. It boasts both functionality and durability. SMOOTH MAGNETIC RESISTANCE SYSTEM -Designed for fitness enthusiasts of all skill-levels and comes with a magnetic resistance mechanism with 8 levels of difficulty. Tension knob simulates different terrains to customize routines according to fitness level. 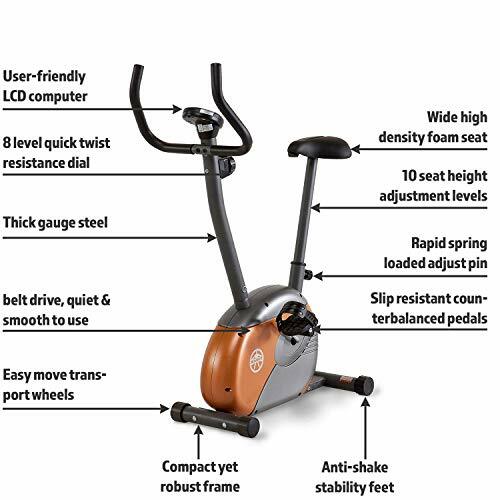 ULTRA-FUNCTIONAL CONSOLE – The ME-708 Upright Exercise Bike has a state-of-the-art LCD screen that acts as an odometer and displays time, speed, distance, and calories burned in extra-large numbers for great readability. 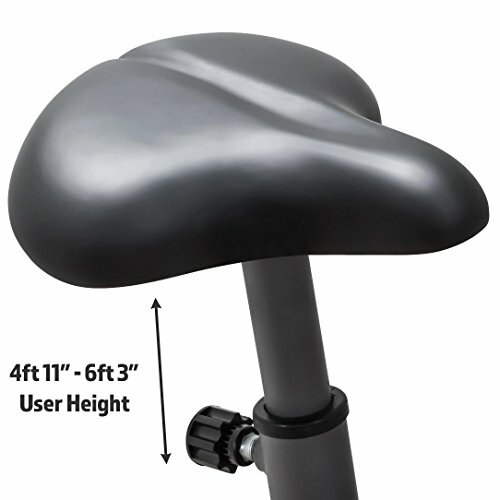 ADJUSTABLE SEAT – The seat can be adjusted to accommodate users of different body sizes, improving form during exercise and allowing your body to conform precisely to the equipment, giving your workouts the maximum effect on your targeted areas. COUNTERBALANCED PEDALS – Pedals are designed to provide maximal foot support while giving you ultimate control. The ergonomic designs facilitate efficient workouts and are equipped with adjustable foot straps to create the perfect fit for your own feet.